Addressing mental illness from the perspective of a teenager, Suicide Tango is a provocative novel. 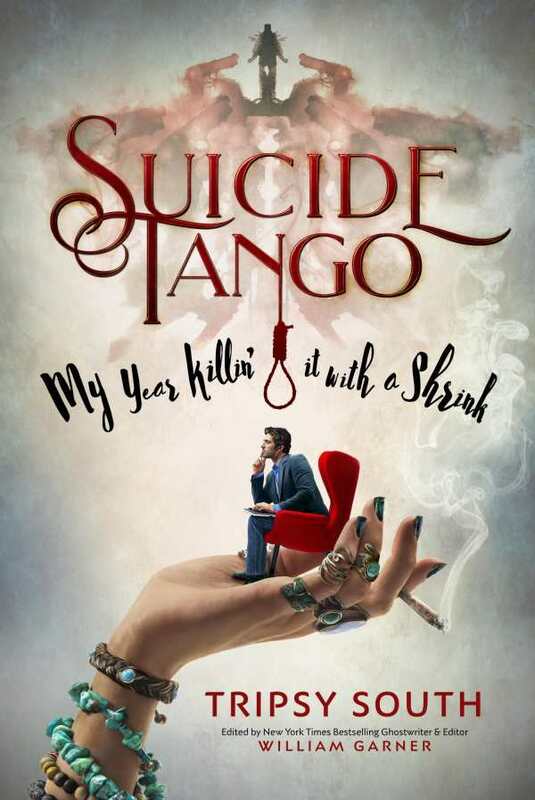 Suicide Tango is an unconventional story about teen suicide and mental illness as understood from an adolescent’s perspective, dictated to a psychiatrist. Jon Harley Moore, a forty-year-old child psychiatrist, meets a highly intelligent, contradictory, caustic, and suicidal seventeen-year-old named Tripsy South. Tripsy’s behavior confounds, exasperates, and intimidates Moore. During the year Moore treats Tripsy, the two dance around the topic of suicide in a dangerous cat-and-mouse game. Moore feels drained and doubtful of his professional obligations when he becomes enmeshed in Tripsy’s deep, logical plans for suicide. Tripsy’s mania and taunts also force Moore to come to terms with his own unresolved feelings toward his long-dead father, his self-worth, and his successful but uninspired career. The story takes place primarily in Moore’s office and consists of a dialogue between Tripsy and Moore. Each chapter corresponds to a therapy session, and Moore provides brief commentary either as background for the anticipated session or regarding his own personal reaction to it. Tripsy and Moore’s question-and-answer dynamic drives the book. It meanders in earlier sessions, in part because Tripsy is going for shock value, but becomes more focused once the discussion turns to the pros and cons of various methods of suicide, after which its emotional intensity increases. The climax is emotionally draining, and getting there is a roller coaster. Both characters are arrogant in their own ways, and part of the story’s fun comes in its details of how each overcomes their own prejudices and comes to respect the other’s philosophical takes on suicide. Tripsy’s arrogance masks the fact that she’s a scared, misunderstood adolescent whose intelligence puts her on the fringes of society. Moore’s arrogance masks his own professional insecurity and repressed childhood traumas. Moore is also intimidated by Tripsy’s superior comprehension of adolescent suicide. While Tripsy starts off as the patient, her deep and methodical meditation on the subject turns the tables on Moore. The reversal in roles is predictable but interesting. Among the book’s most valuable takeaways are its perspectives on how children perceive the world and how adults often fail to understand that a child’s perception of time alters their reality and shapes their mental stability. Also interesting are the book’s reflections on the roles that body chemistry plays in mental illness and the positive and negative ways that pharmaceutical companies treat mental illness. Tripsy’s meditations on a variety of suicide methods are macabre and uncomfortable, and Moore’s silence and lackadaisical treatment seems to condone more than discourage his patient from committing the act. The book’s idea of broadcasting live suicide on social media is disturbing in light of current events. Suicide Tango is a provocative novel that addresses suicide and mental illness from an adolescent perspective.